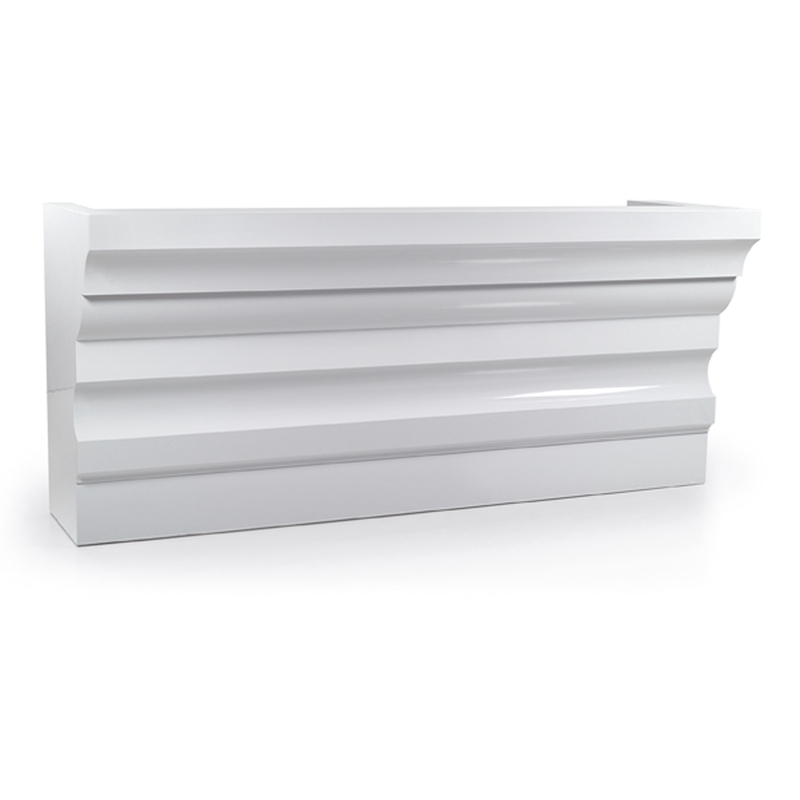 Reception desk with decorated front, laquered in white or black colour. 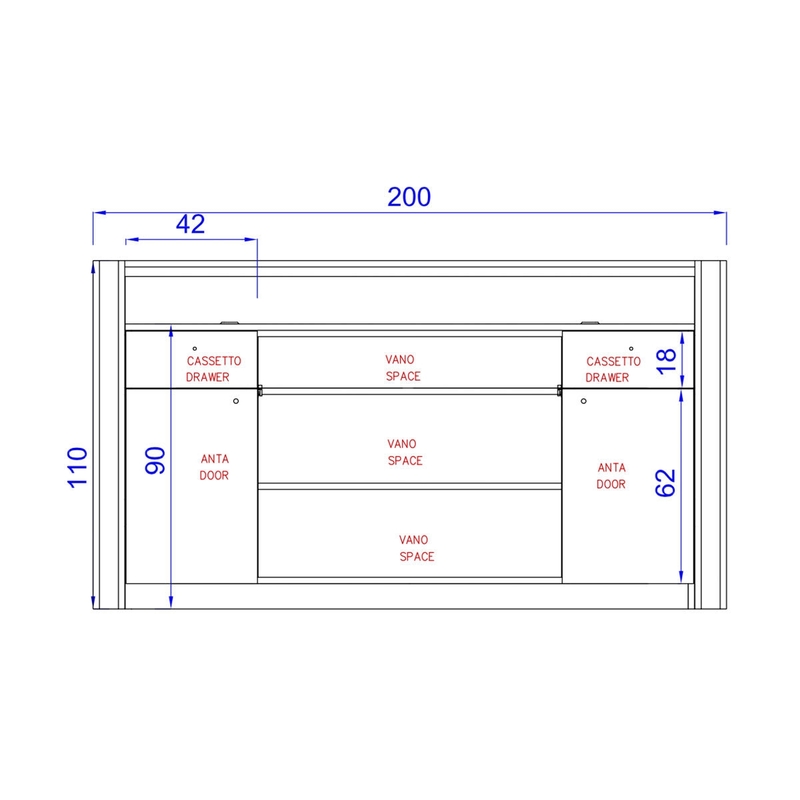 Cabinet with sliding shelf for keyboard, shelves, door and drawer with key. Other RAL colour availables. Available in different measures. Made in Italy.